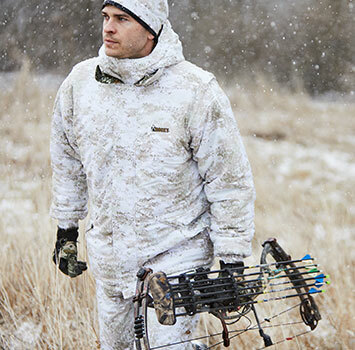 Built to keep you warm and comfortable during even the coldest of weather. Available in a wide range of warmth levels including 200 GRAM INSULATION, 400 GRAM INSULATION, 600 GRAM INSULATION, and for those extremely cold temperatures, 800 GRAM INSULATION, 1000 GRAM INSULATION, 1200 GRAM INSULATION and 1400 GRAM INSULATION. Select styles also available in WATERPROOF, PROTECTIVE TOE and 3M™ THINSULATE™ INSULATION. Built to keep you warm and comfortable during even the coldest of weather. Available in a wide range of warmth levels including 200 GRAM INSULATION, 400 GRAM INSULATION, 600 GRAM INSULATION, and for those extremely cold temperatures, 800 GRAM INSULATION, 1000 GRAM INSULATION, 1200 GRAM INSULATION and 1400 GRAM INSULATION insulation. Select styles also available in WATERPROOF, PROTECTIVE TOE and 3M™ THINSULATE™ INSULATION.